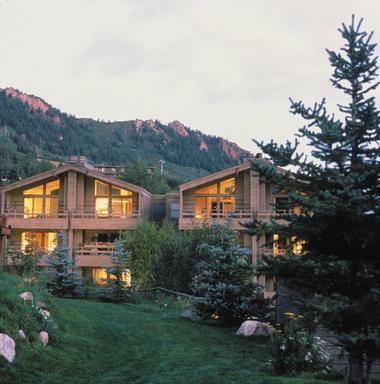 Located in a secluded five-acre enclave at the foot of Aspen Mountain in downtown Aspen, The Gant Aspen is a luxurious condominium resort that offers the comforts and flexibility of a vacation condo rental with the deluxe amenities of a Colorado ski resort. 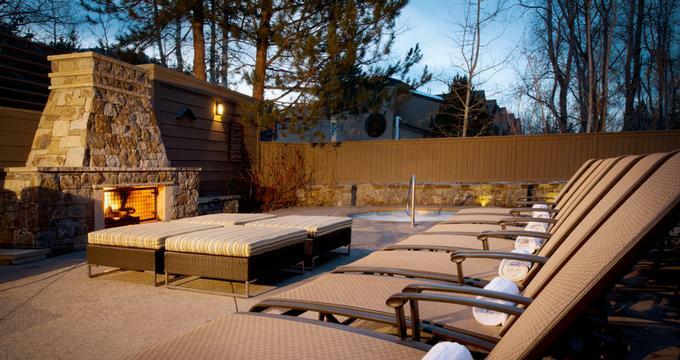 Ideally located to enjoy the world class skiing and other snow sports Colorado is renowned for, The Gant presents beautifully appointed accommodations, premier dining, access to an array of premier amenities and facilities and impeccable service. The upscale, rustic-chic condo resort offers 120 well-appointed fully equipped condominiums with easy access to the slopes and mountain city of Aspen. With a casual onsite restaurant and superb facilities, including two swimming pools, three hot tubs, tennis courts, a ski-storage center and in-town and ski shuttle services, this is the place to spend your winter holiday. 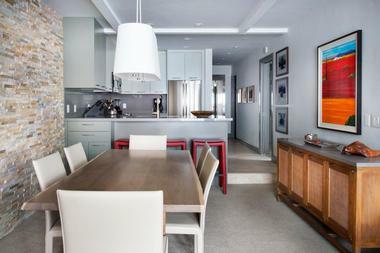 The upscale condo resort offers a choice of accommodations, each individually decorated with a distinct Aspen feel. One to four bedroom condominiums range from standard and deluxe to premier-rated abodes featuring luxurious amenities and services one would expect from a superior Aspen hotel. Standard Aspen Condo Rentals provide comfortable and cozy accommodation at affordable prices with spacious living rooms and wood-burning fireplaces, airy dining areas, fully-equipped kitchens with granite countertops and state-of-the-art kitchen appliances, and private balconies or patios. Deluxe Aspen Condo Rentals have been recently updated and offer tastefully decorated living and dining spaces with wood-burning fireplaces, king-sized bedrooms with en suite bathrooms and fully-equipped kitchens with granite countertops, state-of-the-art kitchen appliances and in-unit washer/dryers. Private patios and balconies are the perfect spot for morning coffee and offer lovely views of the surrounding mountains. Premier Aspen Condo Rentals are The Gant’s most luxurious condominiums, boasting sumptuous furnishings and elegant style. Premier condos feature king-sized bedrooms, en suite bathrooms with showers and bathtubs and a spacious living room with a cozy, wood-burning fireplace. There is also a fully-equipped kitchen with granite countertop and state-of-the-art kitchen appliances, an in-unit washer/dryer, a dining area with table and chairs and a private balcony or patio that offers beautiful views of the surrounding mountainscapes. All condominiums feature standard amenities, including central heating and cooling, flat screen televisions with cable channels, DVD/VCR players, CD players, dual-line phones with data ports and fax capabilities, and iPod docking stations. Other amenities include complimentary daily coffee/tea packages, complimentary daily newspapers, iron and ironing boards, wall safes, luxury bath products, daily housekeeping services and complimentary high-speed wireless Internet. Guests also have access to valet parking, bell and concierge service and complimentary airport and in-town transportation. Named in honor of a little fox friend, Pepperjack’s Café is situated on the first floor of the conference center overlooking the resort pool and offers a casual, relaxed setting in which to enjoy a variety of food and drinks. The café serves freshly roasted gourmet coffee, sweet and sticky pastries, various breakfast and lunch options, as well as a range of beverages including signature cocktails, beer and wine. Guests can dine on the outdoor terrace or next to the swimming pool and soak up the beautiful views, or grab something in the adjacent and elegantly furnished Aerie Lounge & Bar. The Aerie Lounge & Bar offers an elegantly, casual après-ski spot for drinks, coffee or light meals and snacks next to a cozy, crackling fire and a backdrop of magnificent panoramic views of the Rocky Mountains. The Aerie Lounge & Bar is open to guests staying at the hotel and non-resident visitors and can be reserved for private parties. The Gant provides a range of services and amenities, from the legendary ski lodging to attentive concierge services and an array of recreation facilities. Services at the Gant include a full-service front desk, concierge and bell staff assistance, daily housekeeping and dishwashing services, dry cleaning and laundry facilities and child care facilities. The hotel also offers complimentary parking and valet services, two Tesla charging stations, grocery and liquor delivery services and complimentary Aspen Airport transfers and on demand in-town shuttle services. Business services include translation services for over 140 languages, teleconferencing, faxing and copying services and complimentary high-speed wireless Internet access. Recreational amenities at the Gant include two heated outdoor swimming pools, three jetted hot tubs, five tennis courts, including three clay courts and an outstanding summer tennis program, a 24-hour fitness center, bicycle storage, three nearby golf courses and a WE-Cycle bike share station. Ski services include world-class skiing with a choice of four mountains across 5,000 acres, overnight ski tuning, ski storage and skiing and snowboarding lessons. The Gant offers a full service conference center and a variety of meeting facilities for business meetings, weddings, rejuvenating retreats and festive celebrations. 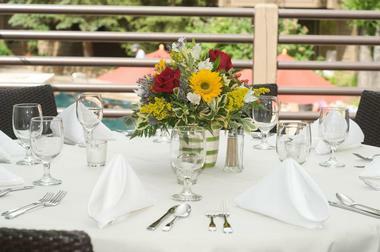 Featuring a variety of different rooms designed to fit all meeting styles and requirements, as well as the newly renovated Molly Campbell Conference Center, The Gant offers elegant gathering and meeting facilities with breathtaking Colorado Rocky Mountain views, on-site catering and exceptional service. 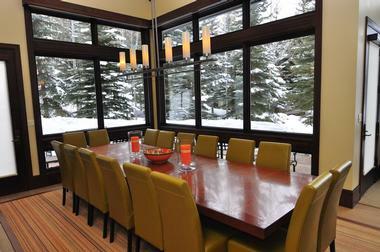 Situated at the base of Aspen Mountain, the multi-use Conference Center artfully blends function, style, and sustainability to create a mountain venue that is suitable for a variety of gatherings ranging from special events, weddings, and private celebrations to corporate meetings, business retreats, and incentive trips. The Gant offers outstanding conference and business meeting facilities in the form of the newly renovated Molly Campbell Conference Center. Honoring four decades of hospitality and meeting excellence, the conference center features a wealth of distinctive amenities and services, including a panoramic rooftop terrace, flexible indoor and outdoor floor plans, a new specialty café and contemporary décor. In addition to these facilities, a professional events team provides expert planning and support services, while a catering team offers full-service catering capabilities and conference service managers provide the highest levels of personal service. High-speed wireless Internet access is available throughout the conference center and meeting facilities and each function room boasts state-of-the-art audio/visual equipment. Elegantly combining function and style into an eco-friendly design, the new 1,500 square foot Molly Campbell Conference Center supports sustainability through a range of environmentally-friendly building practices, such as energy-efficient lighting, native vegetation, sustainable building materials and a rooftop terrace. Outfitted with chic décor, local artisan sculptures and eclectic privacy walls made with native plants. The rooftop terrace offers magnificent 360-degree panoramic views of the surrounding Elk Mountains and can be individually utilized or combined to accommodate up to 125 guests. The Gant specializes in family celebrations and is the perfect destination for special family events such as weddings, receptions, anniversaries, milestone birthdays and reunions. With luxurious condominium accommodations, first-class function venues for all party sizes and expert wedding and events planning teams, The Gant has the perfect solution for all needs. Set in a quiet residential part of town with the magnificent Rock Mountains rising dramatically in the background, The Gant presents a secluded and elegant alpine location for destination weddings, receptions, bridal parties and honeymoons. Catering for formal rehearsal dinners and wedding ceremonies, elegant cocktail receptions and casual barbecues, The Gant boasts distinctive wedding and event facilities, award-winning cuisine and impeccable service. Boasting a high country atmosphere, world-class alpine skiing mountains, gourmet dining restaurants, upscale shopping and a plethora of cultural landmarks, the picturesque vacation village of Aspen offers an array of activities, adventures and attractions for the whole family. This once historical mining town-turned-glamorous-ski resort town caters for adrenaline junkies and outdoor enthusiasts, cultural buffs, shopaholics and gourmands alike. One of the most lauded gourmet events in the country, the annual Food & Wine Magazine Classic Festival, is held every June and draws gourmands from around the world and the Aspen Arts Festival celebrates the arts and talents of local Aspen artists. January sees the Wintersköl Festival, which toasts Aspen’s luxurious winter time lifestyle, and the world-renowned ESPN Winter X Games that glorify the extreme winter sports that are iconic of Aspen’s extreme terrain. Aspen offers a winter playground for world-class skiing, snowboarding and snowmobiling while the summer brings melting snow, blooming wildflowers and breathtakingly beautiful areas to hike, mountain bike, fly-fish and river-raft. Named for the verdant aspen trees with which it is lined, the picturesque village of Aspen has transformed itself from a historical mining town into one of the premier ski destinations in the country. Nestled in between world-class alpine skiing mountains, the vibrant town is renowned for its outstanding outdoor recreation options, an abundance of gourmet dining restaurants, stylish boutiques, historic landmarks and luxury ski resorts that attract a plethora of tourists all year round. Aspen offers a wealth of outdoor activities throughout the year from skiing, snowboarding and snowmobiling in the winter to fly-fishing, hiking and biking trails in the summer. Classic cowboy grit meets Ivy League brains and Hollywood glam on the fresh powder slopes that surround the town, which is home to a variety of entertainment, live music and local festivals. 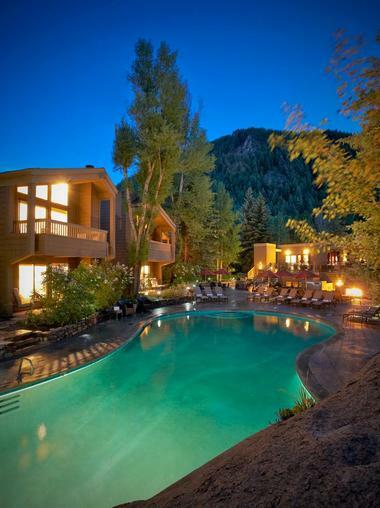 Aspen is nothing if not a place of excellence, extravagance and, most of all, indulgence. Rates start at around $750 per night. Back to: Weekend Getaways in Colorado.